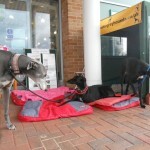 Another very busy weekend for us, this time at another of the three Pets at Home stores in Norwich. 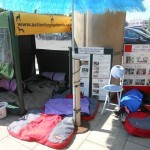 Again, the store were so kind for allowing us such a large space outside to accommodate our awareness station. 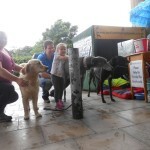 Lots of people and children wanting to make a fuss of the beautiful hounds and listened intently to all their different stories of their past and how they came into our care. 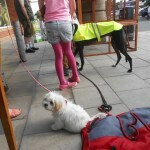 One person said he was recently ‘dragged along’ to a local greyhound track as part of his friends stag do and didn’t want to let his friend down by refusing to go, but didn’t enjoy the evening at all and said it is not a form of a night of entertainment he would go to again. 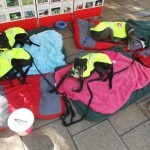 He said most of the group did not even watch the racing or place bets as they were all to busy getting drunk and he said they could have just gone anywhere to do that and it was a shame they were giving their money to a greyhound stadium. 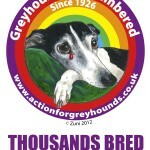 So at least one more person will never be supporting greyhound racing. 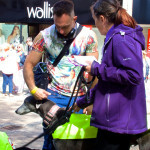 It was lovely on the Sunday to be accompanied by Rosemary and Philip from Afg in Sheffield and their beautiful greyhound Sean (who we referred to toady as ‘Sheffield Sean’), they took a day out from their Norfolk holiday to be with us on this event and Sean loved meeting all the people and mingling with the other hounds. 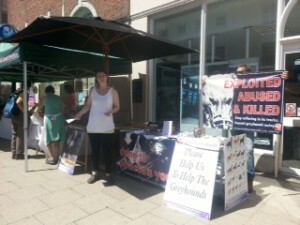 A very busy day for the Surrey campaigners, with the impressive awareness stall organized by Lisa. Very positive support from members of the public with hundreds of leaflets distributed and very generous donations were made to add to vital funds for our campaign. Another great day with fantastic support from the public. A new little greyhound named Zen, who recently came into the care of Afg accompanied us today and loved all the attention. 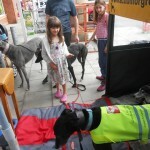 People were shocked when hearing his story…a young greyhound left in Ennis pound in Southern Ireland with an untreated damaged leg, who no doubt would have been put to sleep had he not been saved by some compassionate people who try to save as many greyhounds and other breeds as they can, from the pound. 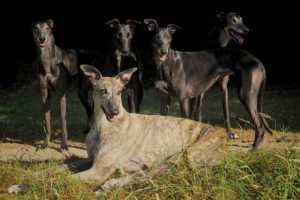 Not only hearing his story but actually for people to meet such a charming little hound, knowing his fate could have been so very much different really brings the reality to people of just how many young healthy greyhounds do get destroyed. 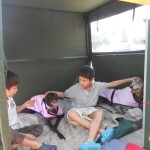 Of course, little Zen is just one of the very lucky ones who are saved. We gave away some of our few left over 2015 calendars today to people who were interested in the history of the hounds present so they could read further and learn more about our campaign. 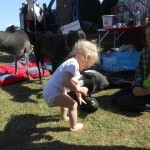 A beautiful day today for Afg to have a stall at the early car boot at Hellesdon High School. 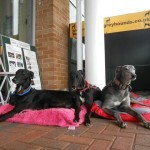 Lots of interest in our beautiful hounds and a chance to promote our campaign and issue leaflets. 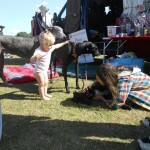 The hounds always enjoy the attention and it’s nice for people to see how very gentle they are with children and toddlers. 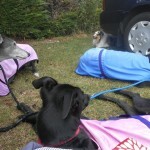 As the Hellesdon carnival, fun day and dog show was starting at 11 am and was just up the road we decided to pop up there after the car boot sale. We saw the fantastic parade and there were over 70 stalls with lots of fun games and attractions going on too. 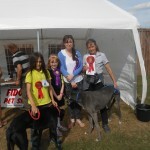 We decided to enter a couple of hounds into the fun dog show and to our great surprise, Zen won best rescued dog with Wilf coming third and Wilf won the most handsome dog, then went on to win Best in Show from the non-pedigree section. All prize winners received goody bags. 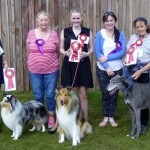 so we came away with lots of treats and toys and some splendid rosettes and Wilf’s Best in Show 2015 trophy. 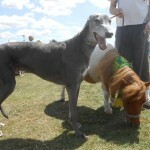 The hounds met a wonderful Shetland pony named Buddy (wearing a Norwich City FC scarf) and yes – Wilf was bigger than the pony, hence his other pet name ‘Pony Hound’. 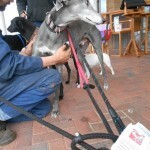 Of course we had even more opportunities do raise awareness here’ by talking to lots of people and the show organizers about Afg and tell the stories of the hounds and the general plight of greyhounds bred and used for racing. 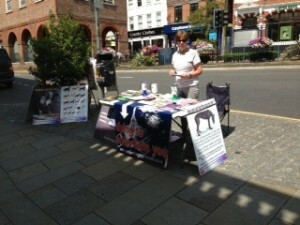 Many thanks again to Lisa, for organizing another event, this time in Reigate. 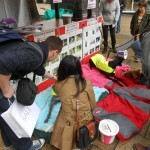 An impressive stall with great support from the public throughout the day. Some people asked for leaflets to take into their places of work and to display in their local libraries and veterinary surgeries, so the awareness will be ongoing after today’s event. 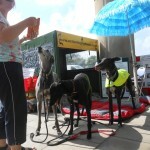 Over the nearest weekend to July 24th, AfG hold a greyhound memorial event. 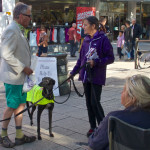 This year we were in Norwich City center making the public aware that commercial greyhound racing was first introduced to Britain on July 24th 1926 and since that time, many thousands of greyhounds have been bred, used by and disposed of by the racing industry. As always we received great support from the public and issued hundreds of leaflets. 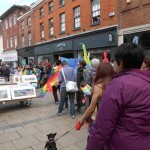 The City was busier than ever today as our event coincided with the Norwich Pride festivities and parade, which is now in it’s 7th year and is ever growing in popularity from supporters and visitors from all over the country and from overseas. Also the nearby Chaplefield Gardens was brimming over with visitors to the Norwich comedy festival. So we were able to reach out with our campaign awareness to even more people today. 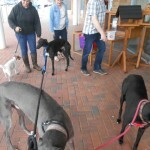 Of course with four beautiful greyhounds accompanying us today, people had the opportunity to realize just what gentle friendly hounds they are and so we may be able to encourage more people to consider fostering or adopting, as whilst greyhound racing is in existence, there will always be a surplus to requirements of greyhounds needing to be saved and homed. 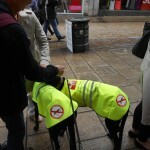 The hounds also wore their new High Viz awareness coats with slogans making it quite clear that greyhounds are merely betting products who literally are ‘dying to Entertain’. 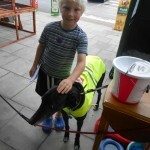 Rosemary and her adorable greyhound Sean held a successful event in conjunction with this years greyhound remembrance weekend. The Barkers Pool area of Sheffield was very busy due to the annual Tramline Festival being in full swing. 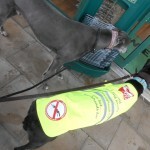 With the opportunity to raise awareness to visitors from all over Britain attending this popular event. So not only great support, as usual from local people but from newcomers who were otherwise unaware of our campaign.